A soldier costume is a traditional costume for Halloween, and lots of fun for boys and girls alike. There are some safety issues with this type of costume though. A favorite costume for kids of all ages is the soldier costume. Especially for military families and families that support the military. You could even have your entire family costume, your own platoon! When my son was eight, he decided he wanted to dress up as a soldier for Halloween. He had some camos and boots, so we just needed to add a few accessories to make a really great costume. Unfortunately, I didn't get pictures that year, so I only have my memories of the event. Rather than carry a toy weapon, he opted to be a wounded soldier, with a red-food-coloring stained white bandage tied around his head. Soldier costumes range from G.I. Joe to desert combat type uniforms to Roman Warriors. You have the entire history of the world to choose an appropriate getup. can be dangerous in the dark. on back of the costume! Toy guns can look real in the dark, which can cause life-altering events to occur. If you allow your child to carry a toy gun, make sure it is definitely identifiable as a toy. Bright colors and glow in the dark emblems or toys can help in ascertaining that a toy is being carried rather than a real weapon. Remember, too, that many schools allow kids to wear their costumes to school. Guns of any kind, even pictures printed on a t-shirt, can cause trouble. If your child wears a soldier costume, make sure he or she leaves all gun-shaped accessories at home. Also check that the costume does not have patches that display any kind of weapons. Kids have been suspended from school for even pretending pencils are guns, so it is best to avoid the issue. You might even consider purchasing a second non-military costume for your child to wear to school. ﻿﻿Also, remember that many soldier costumes will be dark in color. Camo fabric is designed to blend into shadows. Put reflective tape on the back of your child's costume so that drivers can clearly see your child. And, probably the most important safety rule is to go with your child if you allow trick or treating--even if you are in your own neighborhood. Homeshool families can help students relate to history by dressing up as soldiers or civilians of the time period you are studying, and acting out a specific event. Another great idea for bringing history to life is to attend a re-enactment of a historical event. Several years ago, my daughter's family participated in preparing a field for the re-enactment of a Civil War battle in northwest Arkansas. 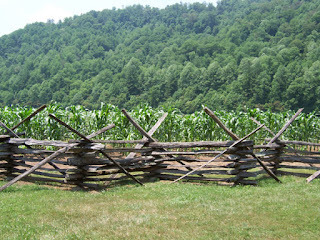 In preparation for the event, they helped build a log fence for the enactors to scale. 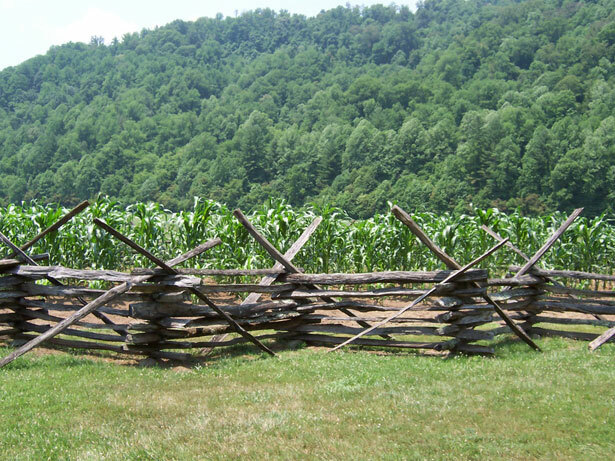 They met many of the men and women who enact the event, listened to the stories they told in the persona of the person they were acting as, and learned how fences were constructed long ago. What costume will your child be wearing this year?